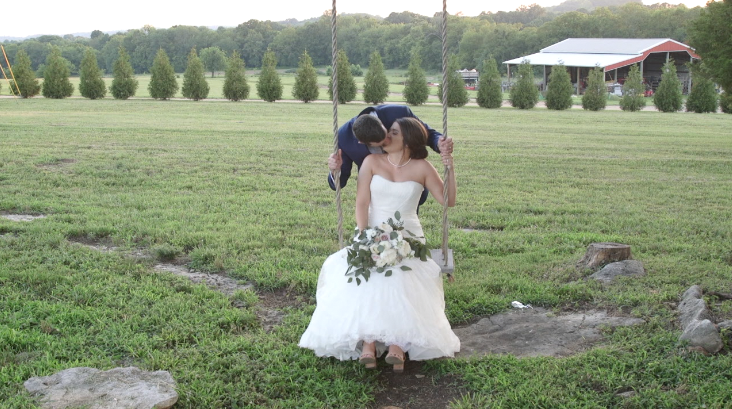 Emily & Bobby got married at the Barn at Allenbrooke Farms. 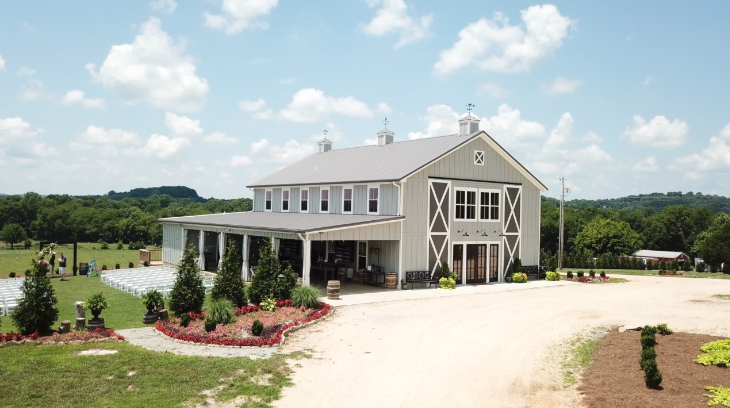 I was so excited for their Nashville farm wedding and the venue did not disappoint. It is literally the most beautiful wedding venue in Tennessee and it was the place for the most magical day for the most fitting couple. The location is set south of Music City and I traveled up from Birmingham to capture video of the festivities. Here’s one of my favorite shots from above. Emily and Bobby got ready to celebrate the big day surrounded by so much of their friends and family. The bride and groom didn’t see each other before the wedding, and instead opted for a First Touch a few hours before the wedding. 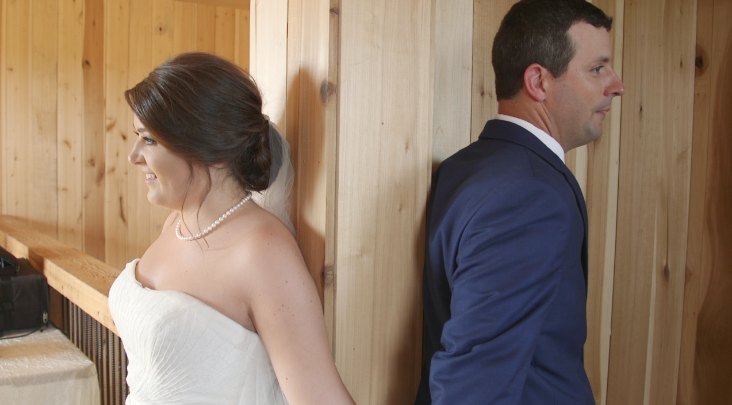 They each stood on opposite sides of a doorway and used this time to banter with each other and pray as a way to set the tone for their beautiful wedding that was to come. The ceremony was a beautiful outdoor one which can go either way for a July wedding outdoors. Thankfully, there was no rain and it wasn’t that hot (it was hot) which is a great opportunity to celebrate their love. After the ceremony, we explored the grounds of the barn which gave us extremely picturesque locations to take photo and video. 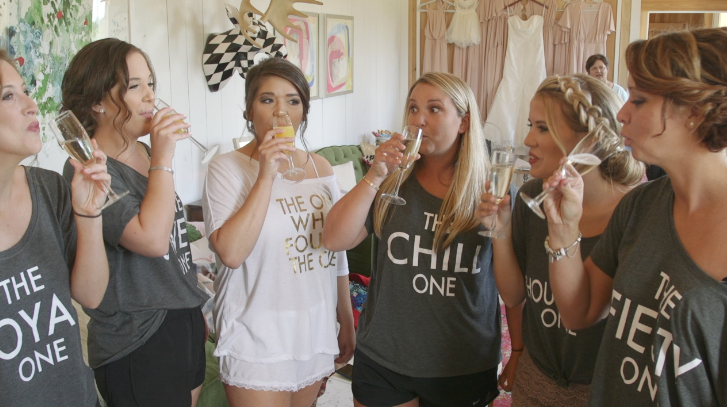 Below is one of my favorite video shots of the day… look how Bobby looks upon Emily with so. much. love! And here’s another one. Bobby and Emily have such a cool story and have been leading up to this day for quite some time. After their wedding, they went on their honeymoon to Disney World which is such a significant place for them both. 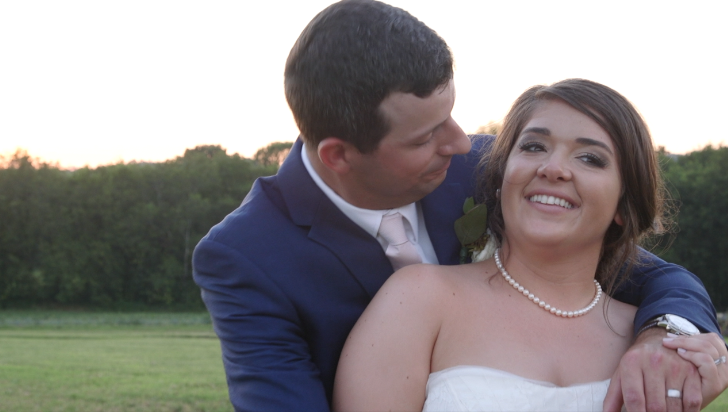 I am so honored to have had the opportunity to film their wedding day. Their wedding day was like a real life fairytale.